Jo Atkins’ sixteenth year was disastrous: she lost her dad, was assaulted by a stranger, and then had her heart broken. For the last twenty-five years, she’s believed that nothing could ever be as bad again. She was wrong. Now, still smarting from her recent divorce, pretty, self-effacing Jo finally gathers the courage to enter the dating scene. She meets Claudio, whom she vaguely remembers from her youth, but after a few dates decides he’s creepy and politely tells him ‘thanks but no thanks’. But Claudio has no intention of letting her go. Instead of never seeing him again, Jo wakes up sick and terrified, handcuffed to her own bed. She is given a week to prove her love for Claudio—or he will kill her. Claudio, it turns out, is a man with nothing left to lose. 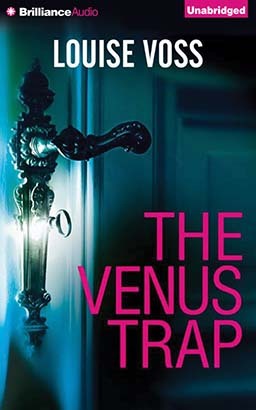 The Venus Trap tackles the emotional impact of divorce, the perils of modern dating and the age-old powers of lust and obsession.